Soo Blouse https://www.review-australia.com/global/soo-blouse-cream/RE19TW059.RECRM001.html Set your sights on new style heights with the Soo Blouse. 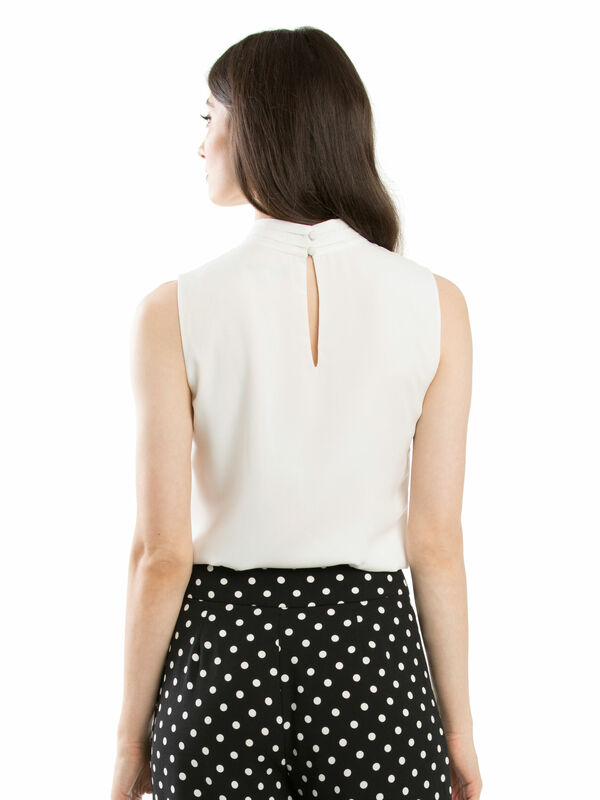 On-trend yet classic, this sleeveless blouse is fully lined and crafted in a soft georgette. It has a regular fit and a striking tie neck bow detail which can be styles to suit any outfit. Worn with Spot Surprise Pants and Brenda Kitten Heel. 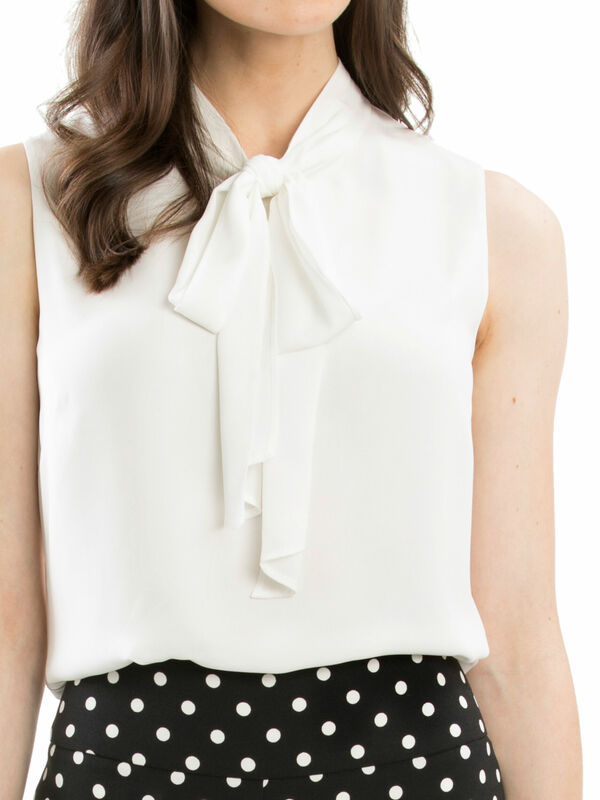 Set your sights on new style heights with the Soo Blouse. 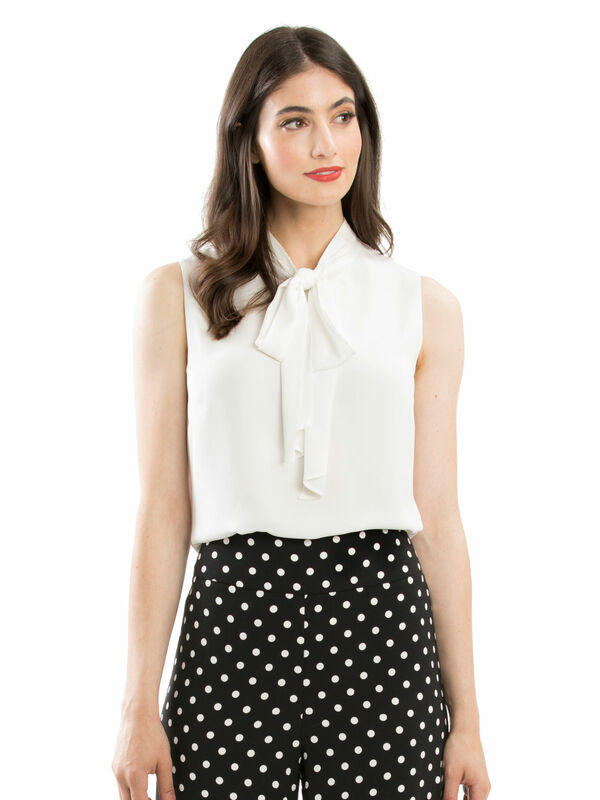 On-trend yet classic, this sleeveless blouse is fully lined and crafted in a soft georgette. 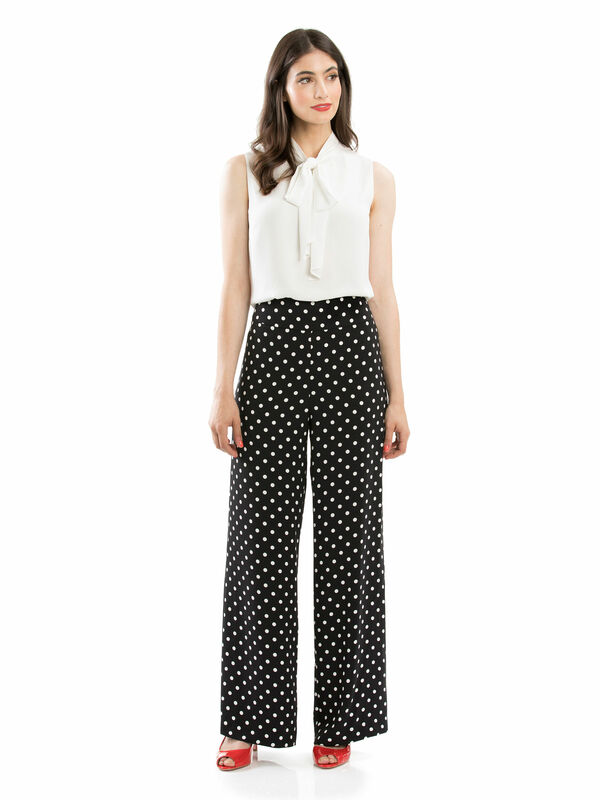 It has a regular fit and a striking tie neck bow detail which can be styles to suit any outfit.